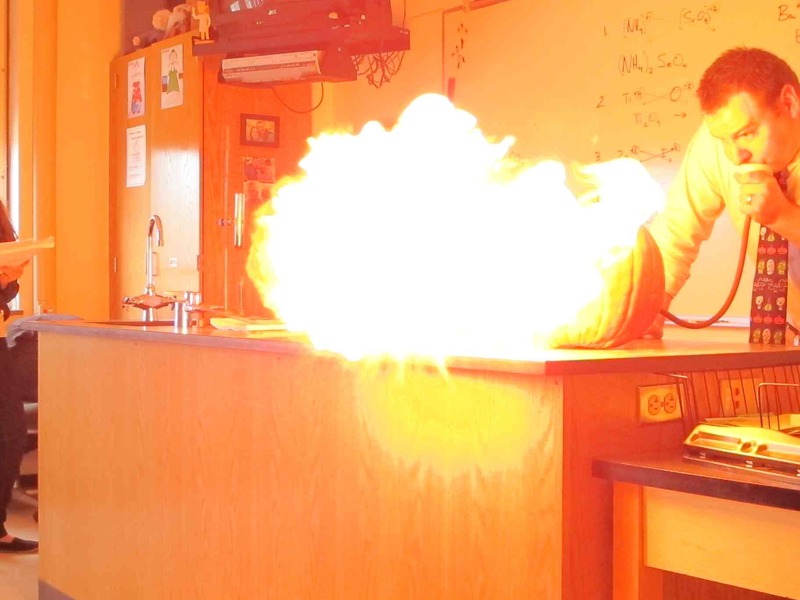 For more than a decade, I have made a fire-breathing pumpkin for my chemistry students around Halloween (see footage from 2008). 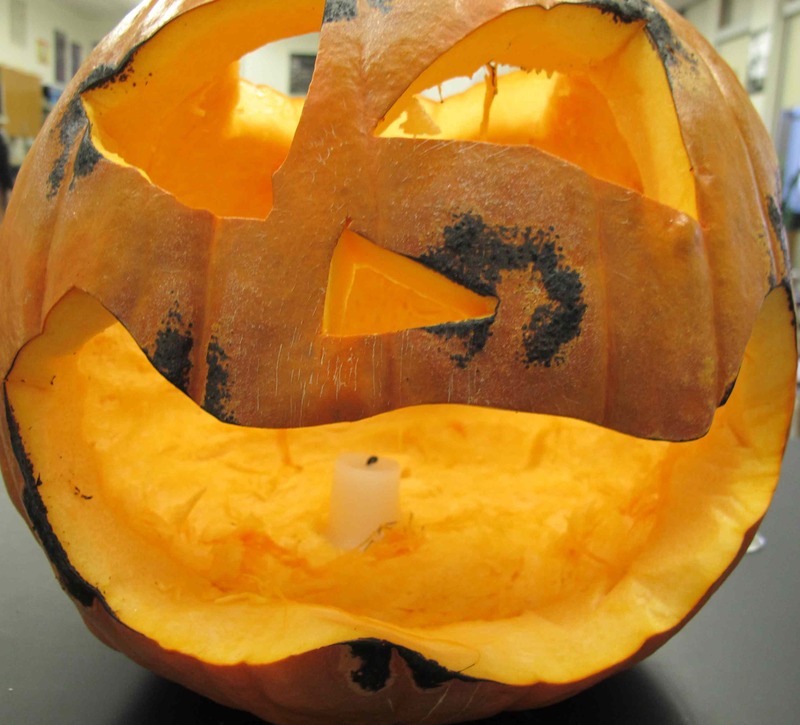 After seeing recent posts about making a Flamethrowing Jack-O’-Lantern, I have decided to share how it’s done. It’s really quite simple, once you have all of the equipment. 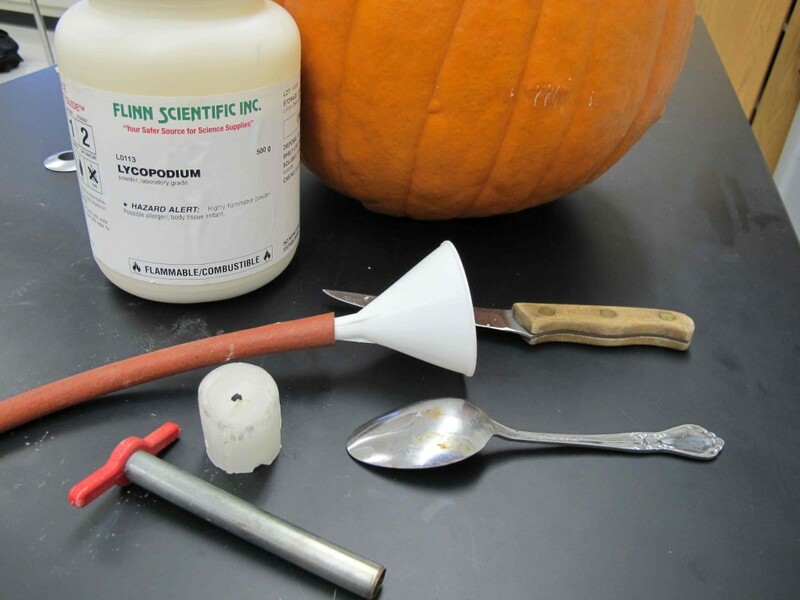 The lycopodium powder is the hardest to obtain (unless you are a science teacher). 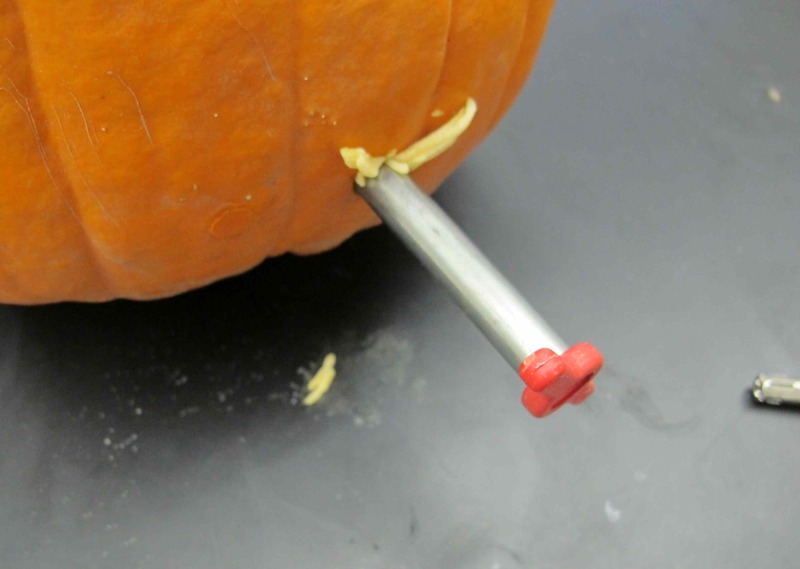 I ordered mine from Flinn Scientific. I like carving a large mouth and eyes (remember the flame comes through every hole). I used a bunsen burner to add a little detailing. Ideally, this should be a few centimeters above the top of the candle. If it’s too low, then you’ll blow the candle out. Insert the tubing through the hole, and attach the funnel on the end. 4. Add the Lycopodium powder and BLOW! The work there also tends to be dangerous. Farmers take their grain to elevators to be stored, and sometimes processed, before it is marketed or sold. Fine, highly combustible grain particles flow through the buildings as corn and other grain are moved. A spark from equipment or perhaps a cigarette can ignite the dust, sending a pressure wave that detonates the rest of the floating dust in the facility.